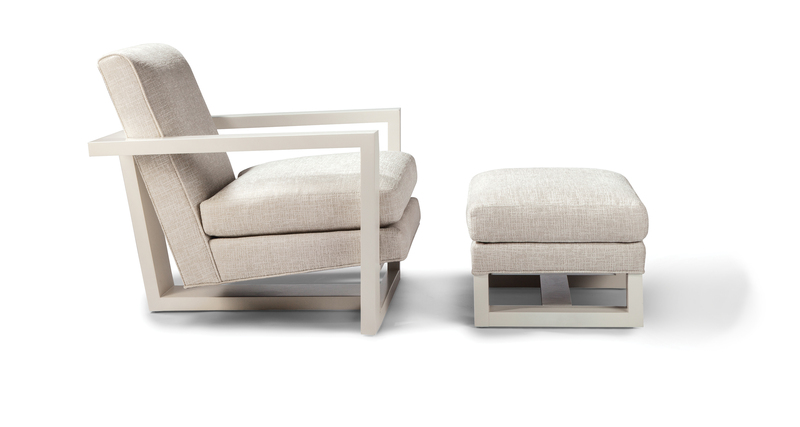 Designed by Ransom Culler, our Roger lounge chair is one of our new contemporary classics. 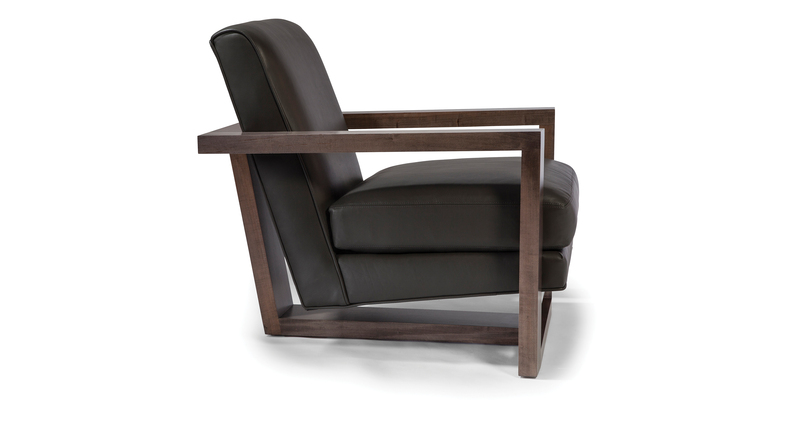 Featuring a sturdy architectural frame and crisply tailored upholstery, Roger provides luxurious comfort while cutting stunning profiles from every angle. 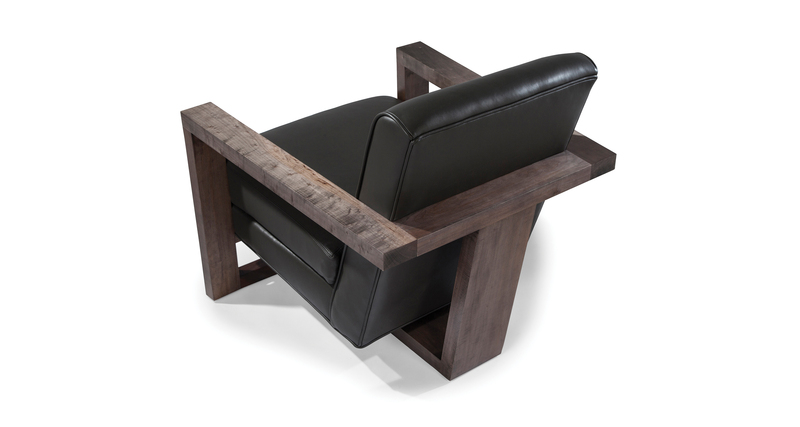 Select any of our in-house curated fabrics or leathers for upholstery. Choose any TC wood finish for frame. Matching ottoman available, No. 1183-000. W 31 D 35 H 32 in. Available in any TC wood finish.